"And when you are greeted with a greeting, greet in return with what is better than it, or (at least) return it equally." They said "say there is no diety except God,..
And to me, he is MY BELOVED ! Once you accept this framing of the whole issue, the outcome is already decided. 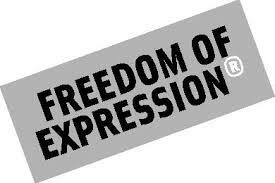 Are you for freedom of expression or not? It is a loaded question, and just like the yes/no question, "Have you stopped beating your wife?" no matter how you answer it, you remain guilty. Look at the typical Muslim response which begins, "We also believe in freedom of expression but…" It matters little what you say after that. It is obvious that you are trying to add exclusions and limitations to a basic moral value while the other side is asking for no such limits. It is not difficult to see which side will come out ahead. Actually contrary to the claims of the pundits if the Western society was truly built on this "cherished moral value," it would have perished a long time ago --- consumed by the fires of hatred and negativity generated by this freedom. No home, no neighborhood, no village, no business, no organization and no society can survive for long if it makes freedom to insult as a cornerstone of its freedoms. Clearly most who advocate this freedom do not practice it in their daily lives. But they are making an exception in the case of Islam and Muslims. The driving force behind this is not any great moral principle but a deep rooted hatred born of ignorance. Well, whether or not freedom to insult is a Western value, Islam has nothing to do with it. It lays emphasis on its exact opposite: the freedom from insult. It values human dignity, decency, and harmony in the society. The freedom of religion it ensures includes freedom from insults. While it does not shy away from academic discussion of its beliefs and showing the falsehood of non-Islamic beliefs, it makes sure that the discussion remains civil. In those discussions it wants to engage the intellect of its opponents; in contrast those who itch to insult their opponents are interested in satisfying their vulgar emotions. Thus while its most important battle is against false gods it asks its followers to refrain from reviling them. (Qur'an, Al-anam, 6:108). It also reminds them to stay away from harsh speech. "Allah loves not the utterance of harsh speech save by one who has been wronged." (Qur'an, Al-Nisa, 4:148). Prophet Muhammad, Sall-Allahu alayhi wa sallam, who is being reviled by the scum of the world, taught Muslims to never let the low moral standards of their adversaries dictate theirs. "No one of you is a believer until he loves for his brother that which he loves for himself." Many years ago, when I worked at a hospital, I got to know a little girl named Ameena who was suffering from a rare and serious disease. Her only chance of recovery appeared to be a blood transfusion from her 5-year old brother Abdullah, who had miraculously survived the same disease and had developed the antibodies needed to combat the illness. The doctor explained the situation to her little brother Abdullah carefully, and asked the little boy if he would be willing to give his blood to his sister Ameena who needed it urgently to survive.. I saw Abdullah hesitate for only a moment before taking a deep breath and saying, "Yes I'll do it, if it will save her." As the transfusion progressed, he lay in bed next to his sister and smiled, as we all did, seeing the colour returning to Ameena's cheeks. Then Abdullah's face grew pale and his smile faded. Then Abdullah looked up at the doctor and asked with a trembling voice, "Will I start to die right away?" "He who removes from a believer one of his difficulties of this world, Allah will remove one of his troubles on the Day of Resurrection"
"A person who leaves 3 Friday prayers consecutively, Allah puts a seal on his heart." 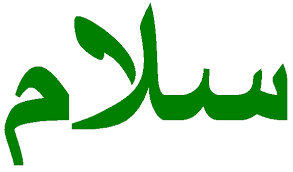 The Messenger of Allah Muhammad [Peace be upon him] used to accept gifts and give gifts in return. All his sins will be forgiven even if they are as much as foam of the sea منقال ( سبحاناللهوبحمده ) مئةمرهغفرت ذنوبهولوكانتمثلزبدالبحر..
Just like he saved YUNUS A.S, when he was inside the fish. but very heavy in weight in the balance. 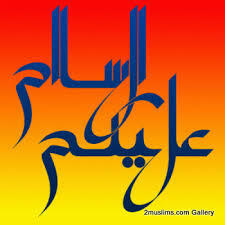 Jabir reported that the Prophet, SAW, said, 'Whoever says منقالسبحــــاناللهوبحمده. We shall reap what we sow!!! The Favours of Allah on us are Enormous !! !